We here at Essexville Electric are constantly seeking ways to do our jobs better and more safely. One way we achieve this is through training. In 1983, the Occupational Safety and Health Administration (OSHA) developed a rule called “Hazard Communication” to better inform employers and employees of the hazards of chemicals in the workplace. 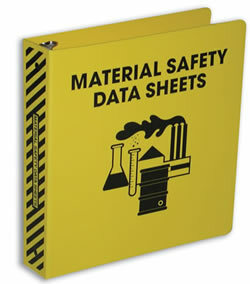 Material Safety Data Sheet (MSDS) information has helped us do this. Now, this program is worldwide, and all countries will use one uniform system called Safety Data Sheets. The entire Essexville Electric team recently completed this training, yet another way we hope to better serve our clients.